Ba Ria-Vung Tau (VNA) – After four years of implementation, a project to develop healthcare services in coastal and island areas through 2020 has showed good outcomes with remarkable improvements recorded in quality of medical services for local people, heard a conference in the southern province of Ba Ria-Vung Tau on March 31. Hundreds of training courses have been held for fishermen in 28 coastal localities, while thousands of medicine cabinets have been set up in offshore fishing vessels, along with the construction of hospitals in island districts, including those in Con Dao, Phu Quoc and Ly Son, participants were told at the event. At the same time, the Ministry of Health launched a pilot project to send young volunteer doctors to mountainous, remote, border and island localities as well as regions with extreme difficult economic conditions. Highly-qualified doctors from central hospitals were sent to local healthcare facilities to help with further training, while all residents in island localities were provided with health insurance. However, delegates also pointed out a number of difficulties facing the project, including a lack of investment from the central budget, forcing the targeted localities to mobilise capital from various sources. 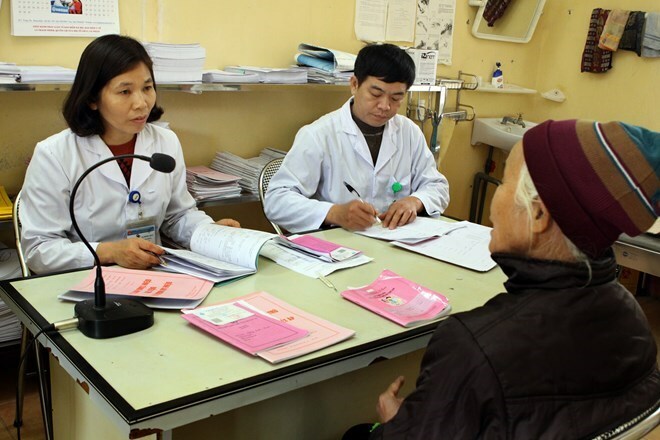 Deputy Minister of Health Pham Le Tuan underscored the need for closer coordination between ministries, sectors and localities in the implementation of the project. Tuan proposed that the Ministry of National Defence act as a coordinator in transporting emergency cases at sea, while upgrading and building modern ships, enabling medical staff to give first aid in coast guard and military vessels.